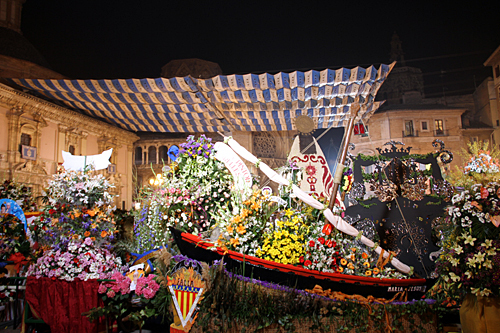 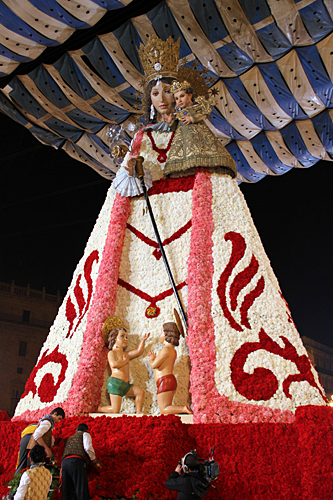 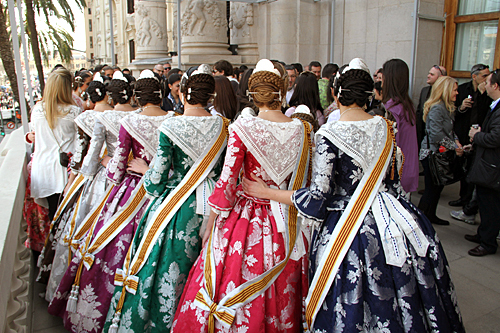 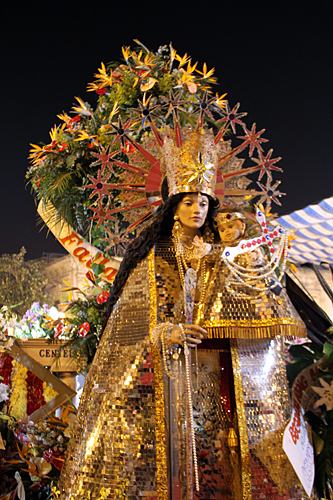 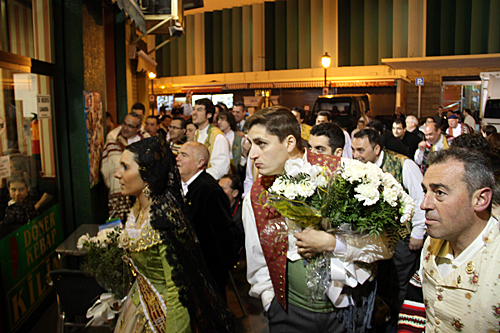 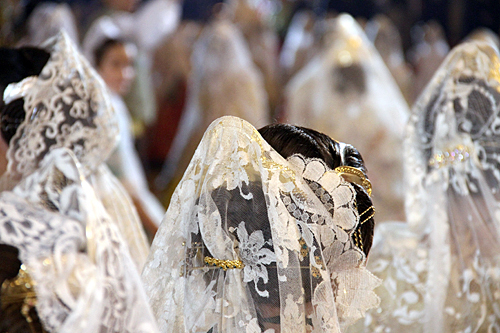 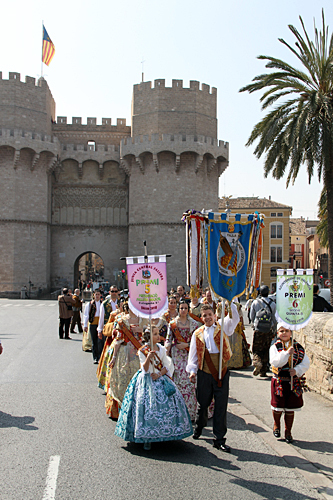 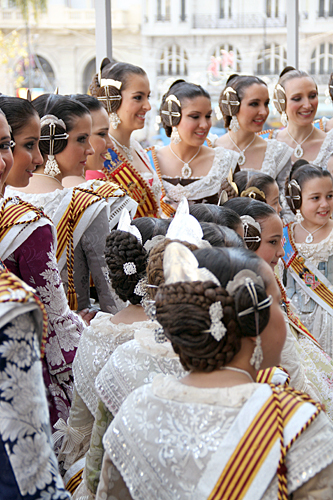 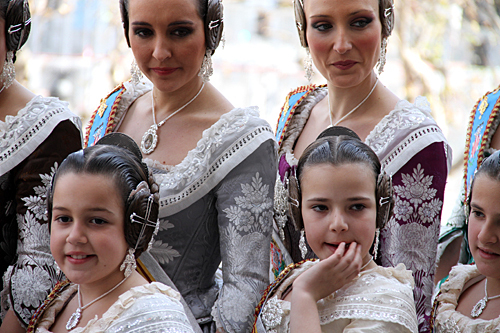 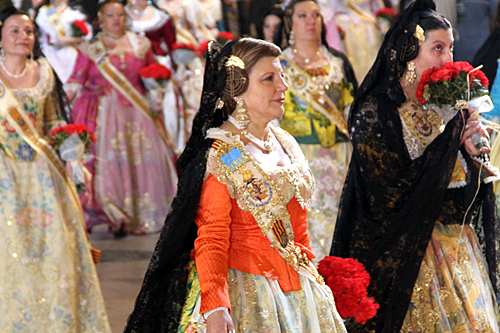 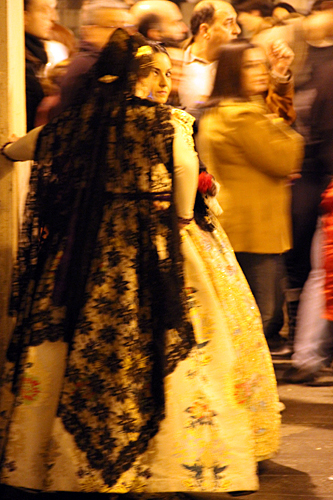 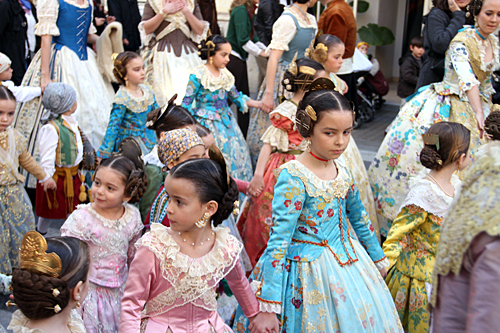 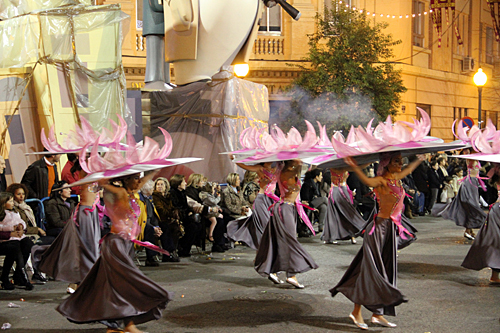 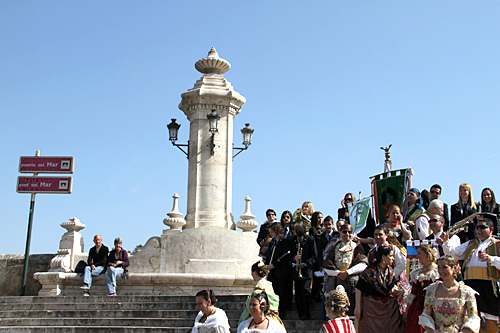 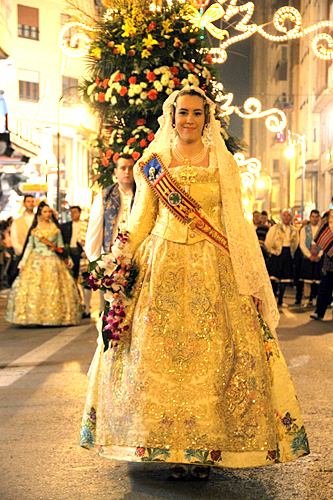 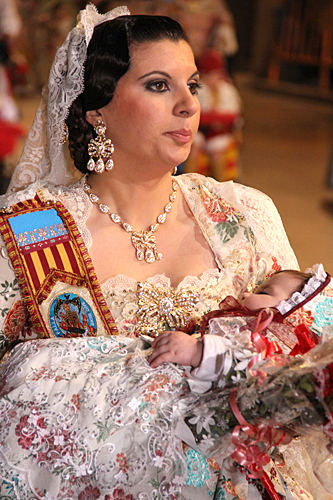 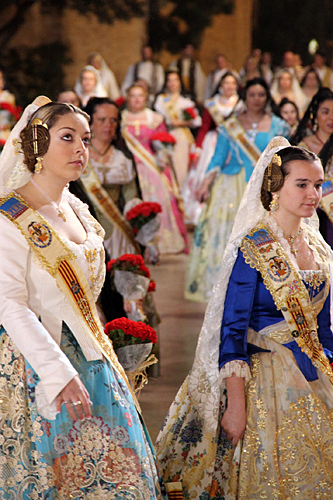 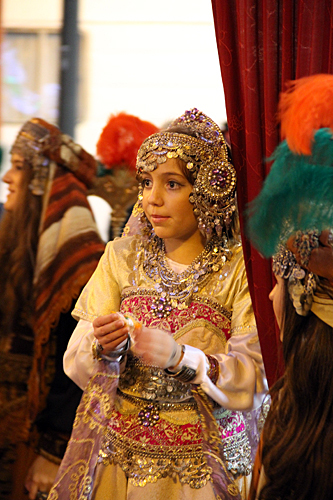 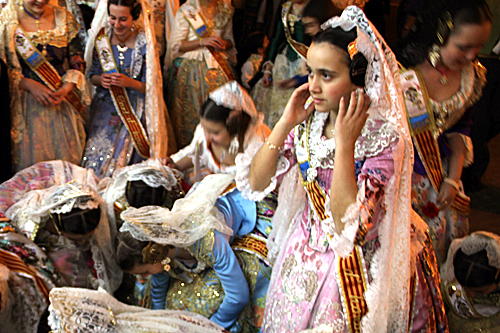 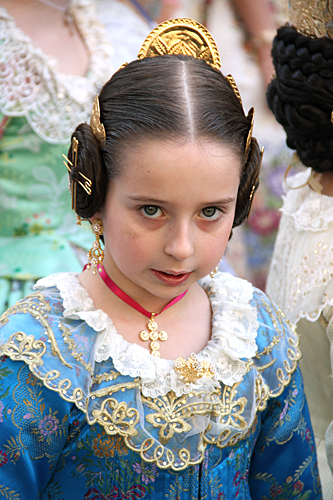 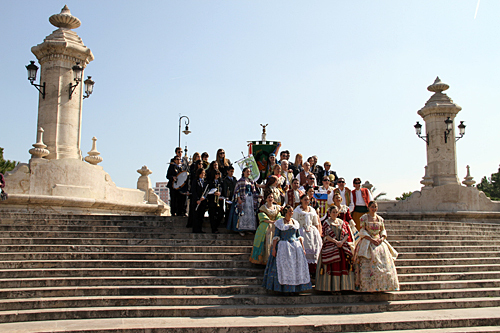 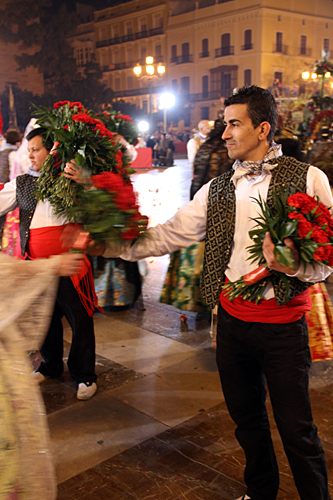 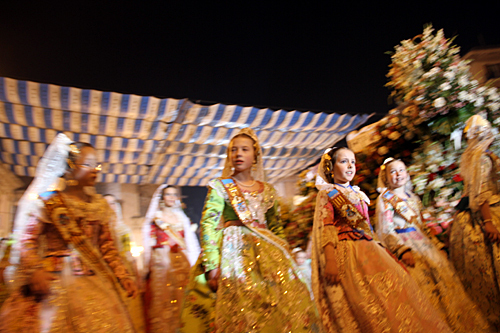 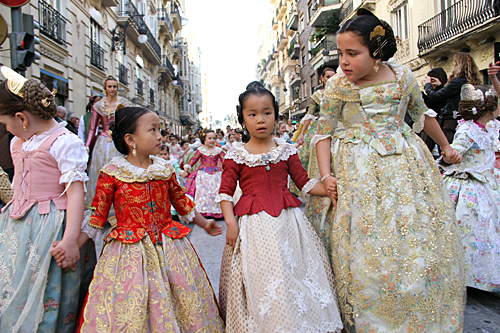 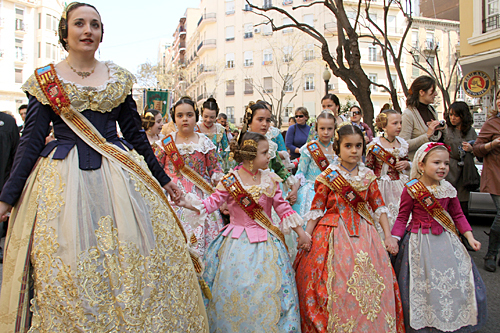 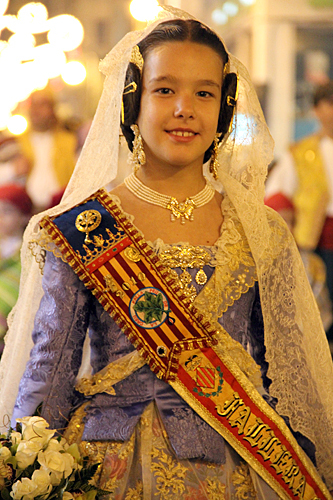 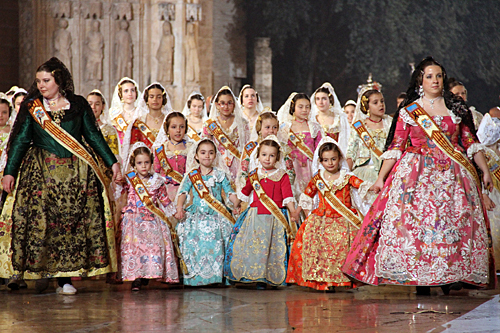 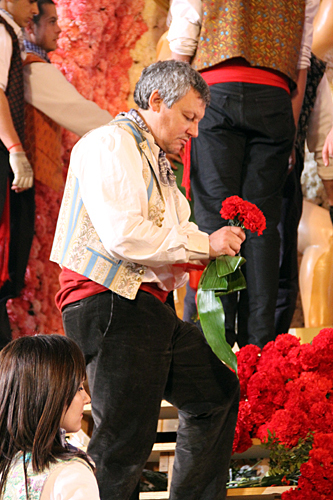 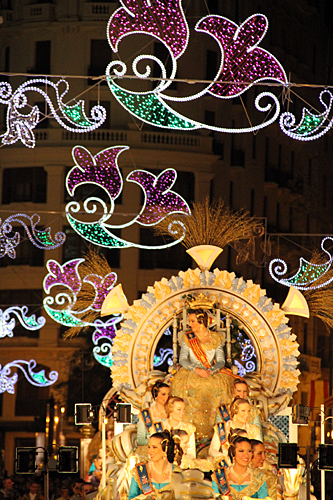 During the last couple days of Fallas, thousands of falleras from all over the province make a pilgrimage to Valencia’s Plaza de la Virgen to deliver flowers to Our Lady of the Forsaken, during one of the festival’s most awe-inspiring events: The Ofrenda (The Offering). 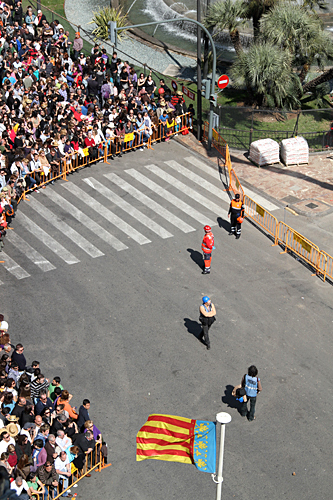 You’ve never seen anything like it; traffic in the inner city is completely brought to a halt. 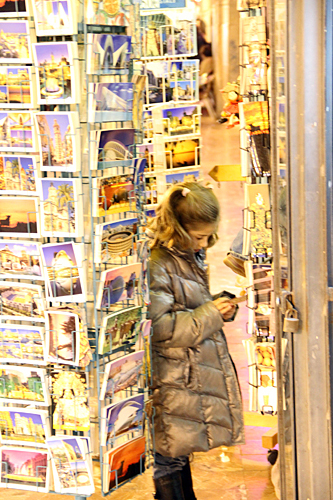 That goes for foot traffic, too. 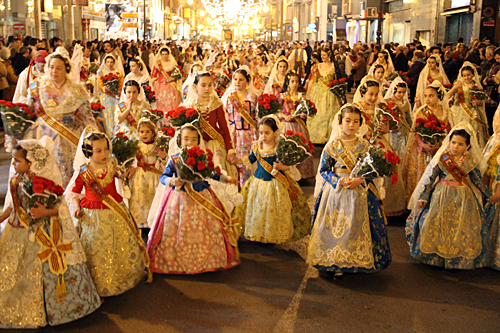 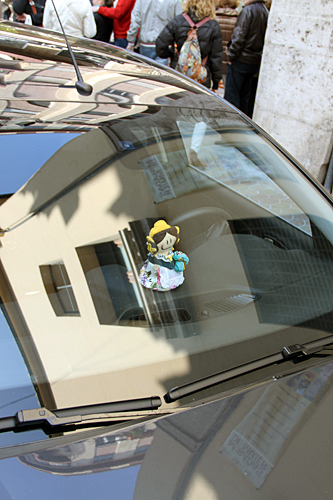 Young falleras, old falleras, baby falleras, musicians, cigarrette smoking falleras pushing strollers, hungover falleros, all on their way to the Virgin with flowers. 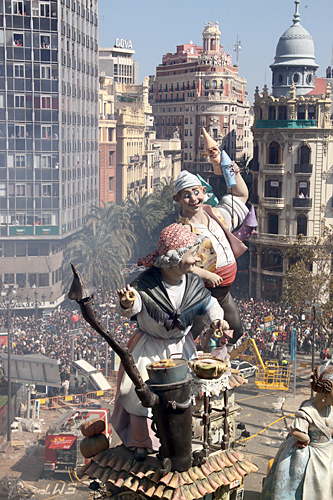 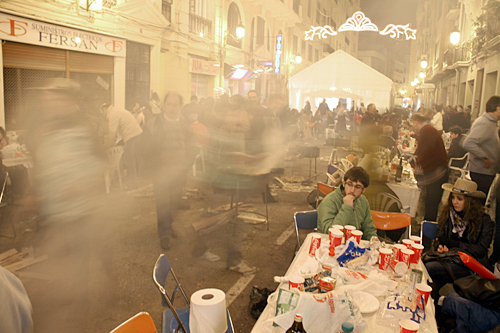 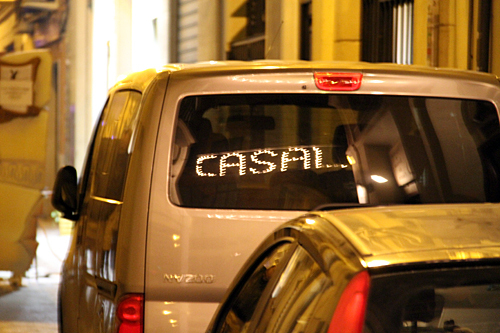 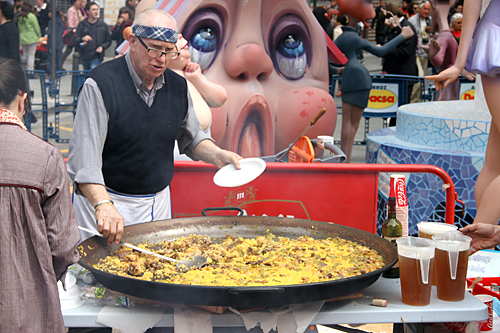 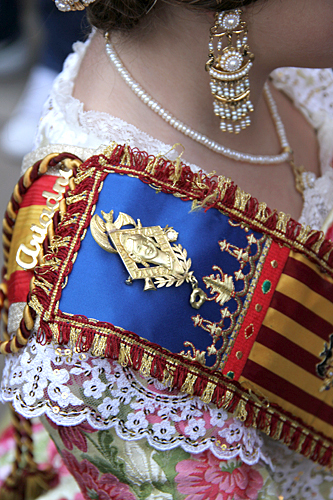 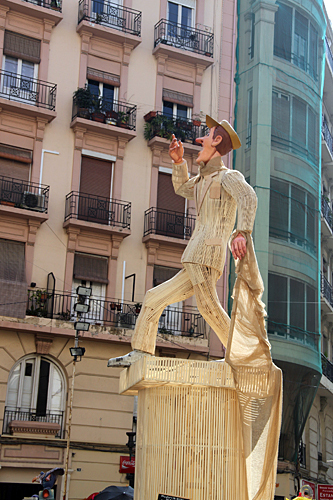 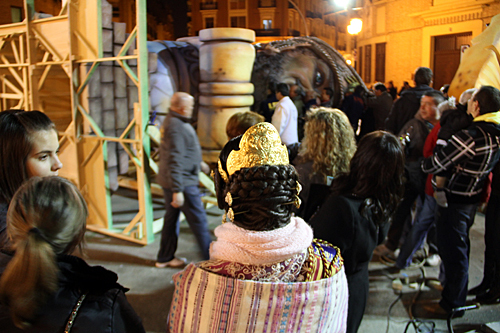 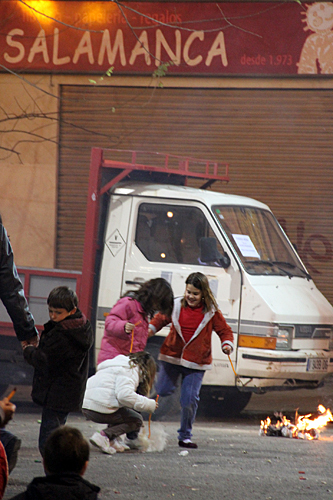 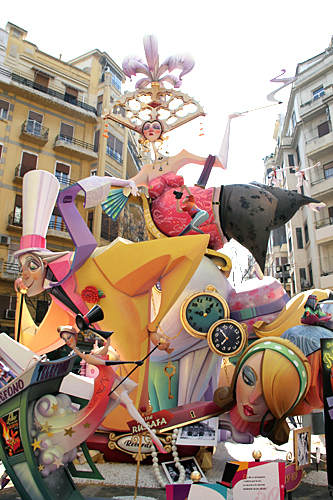 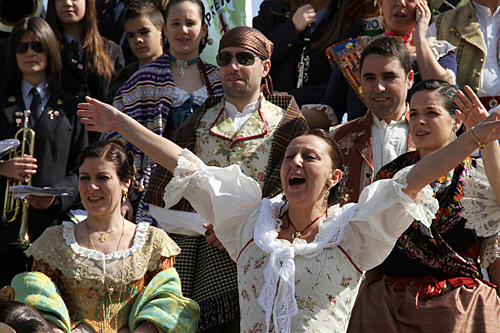 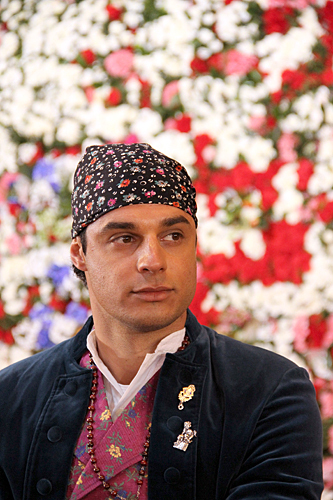 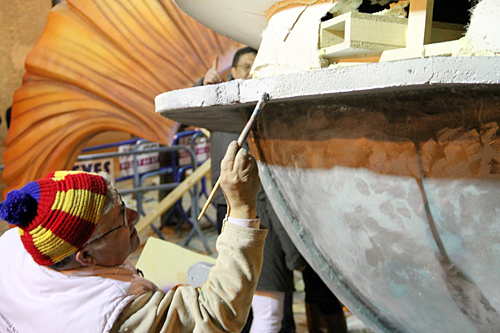 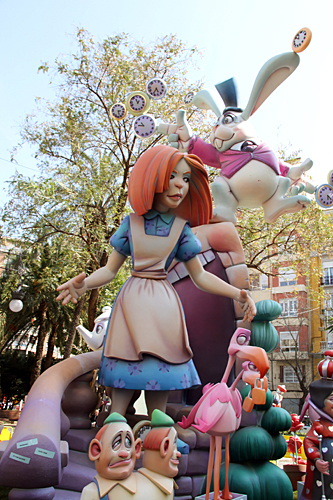 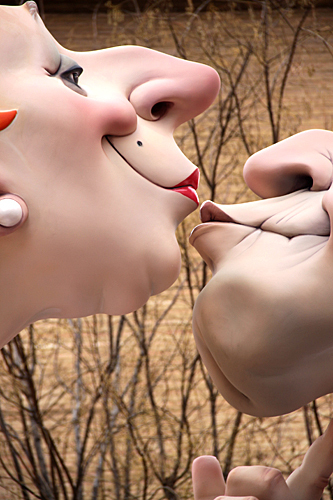 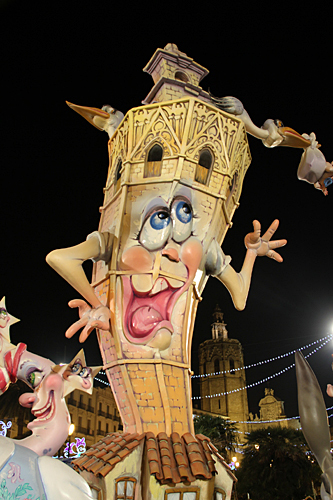 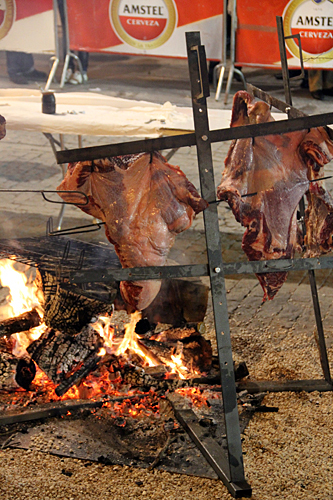 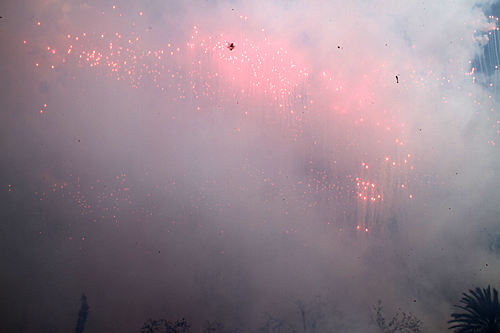 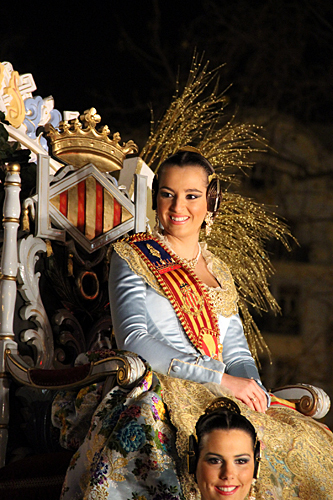 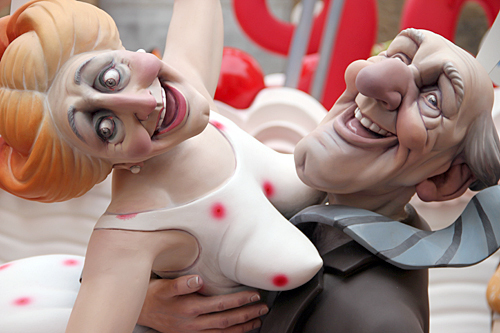 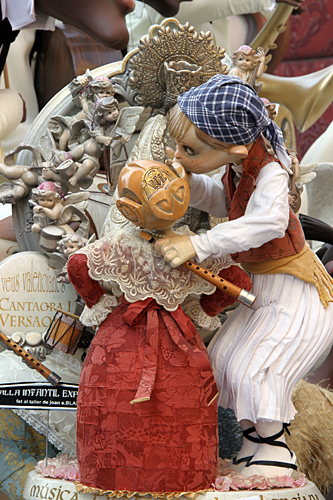 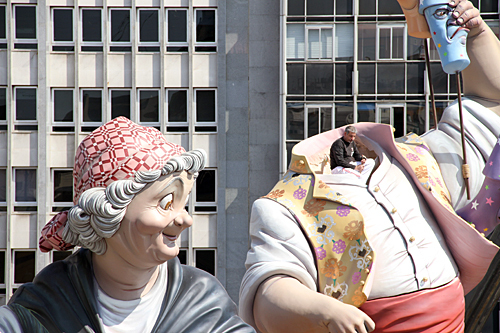 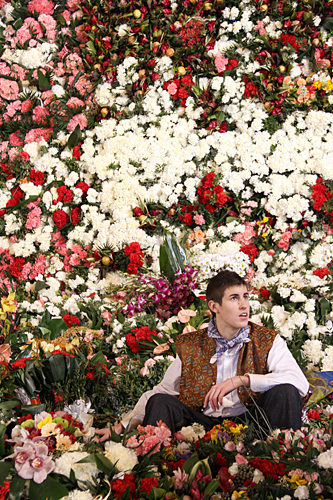 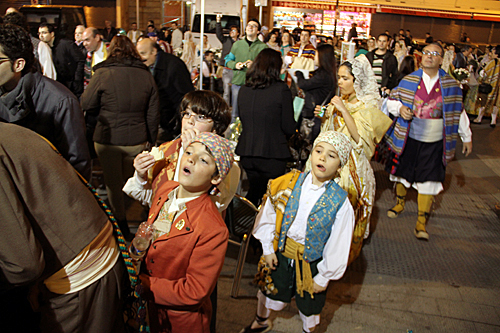 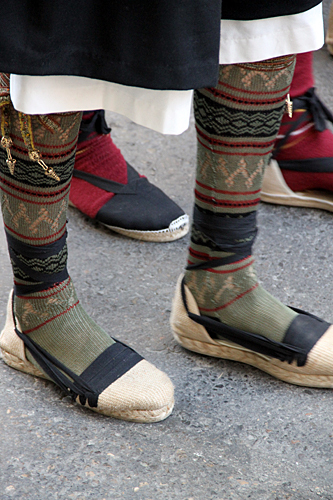 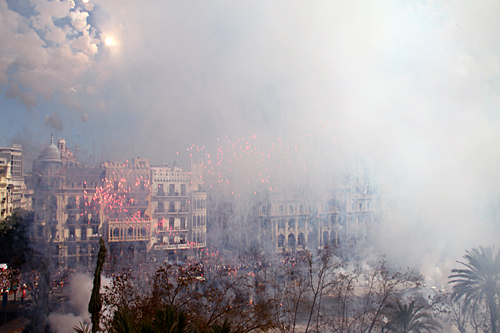 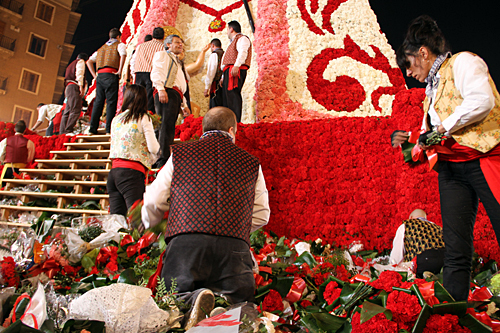 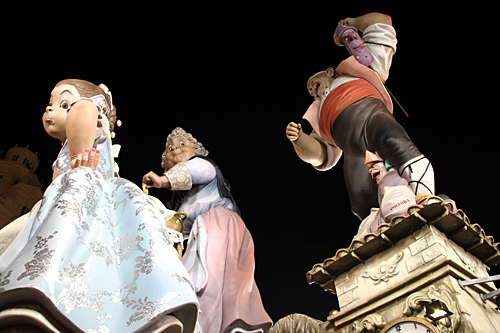 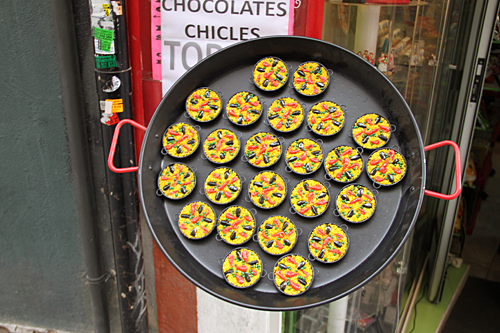 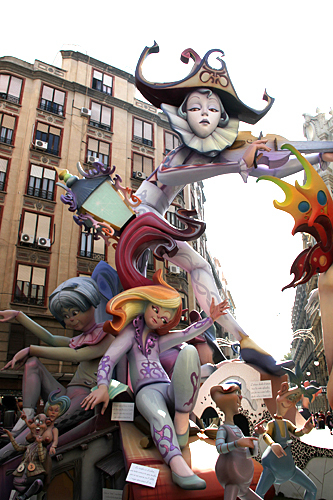 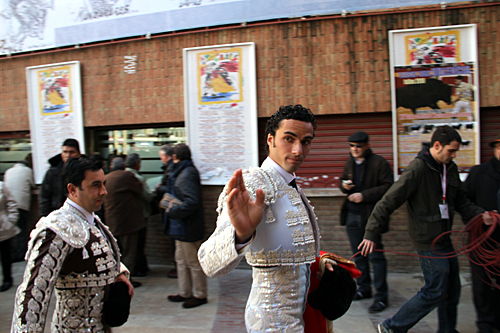 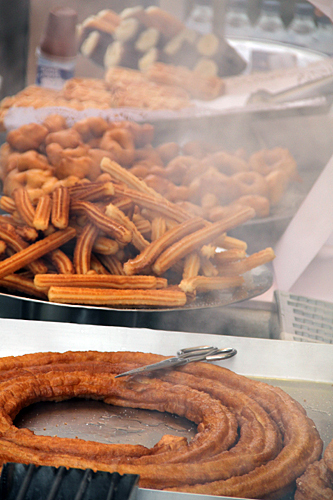 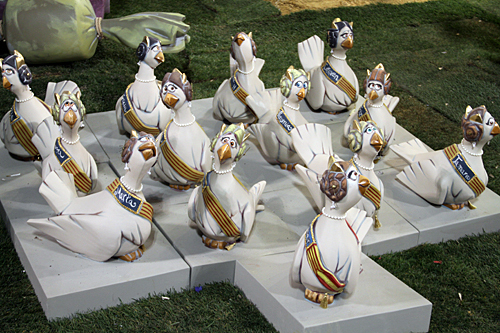 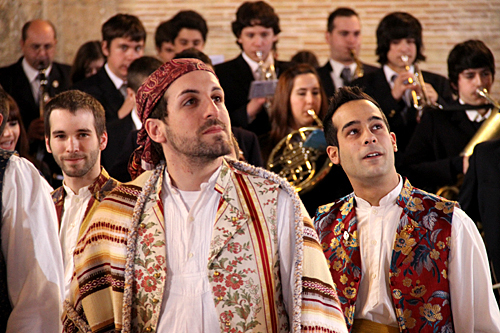 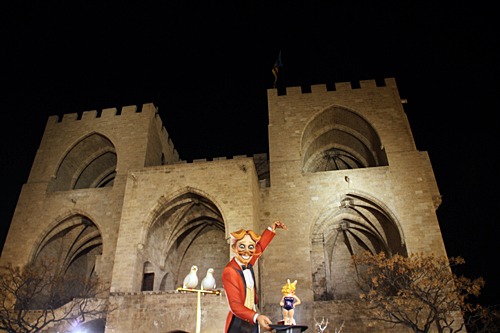 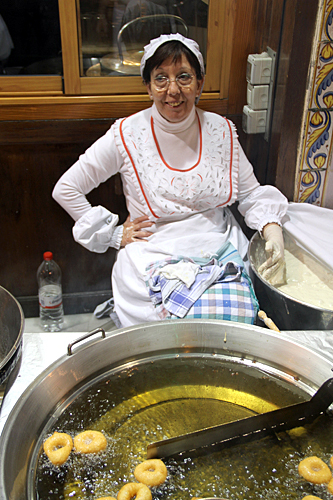 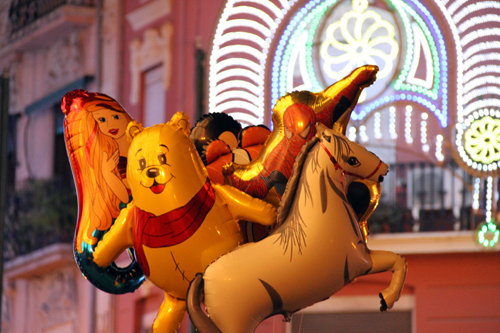 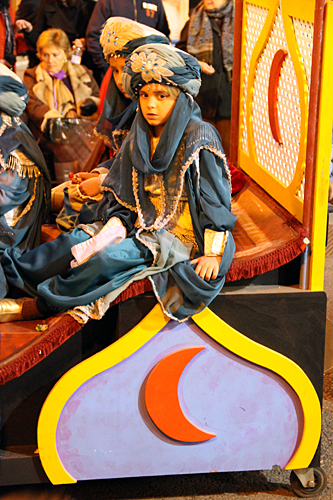 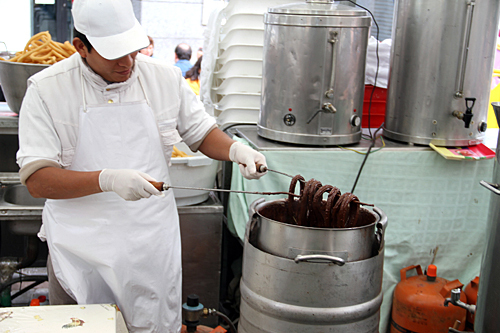 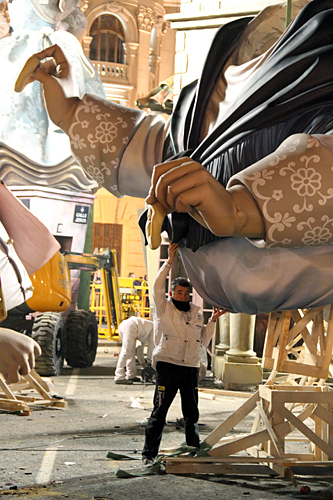 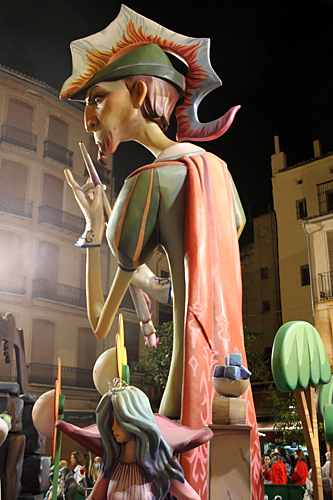 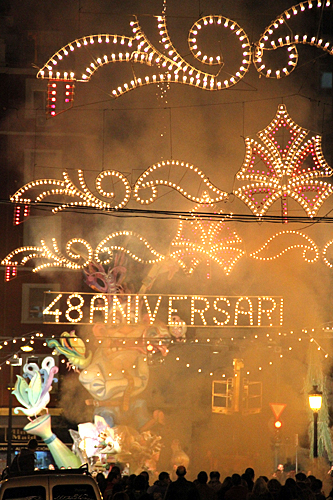 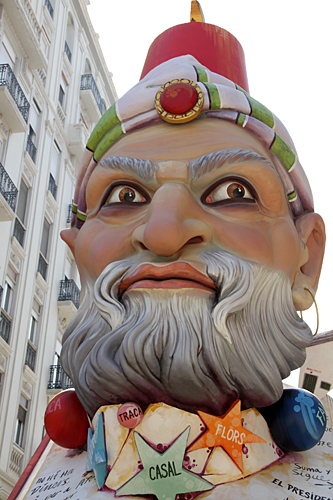 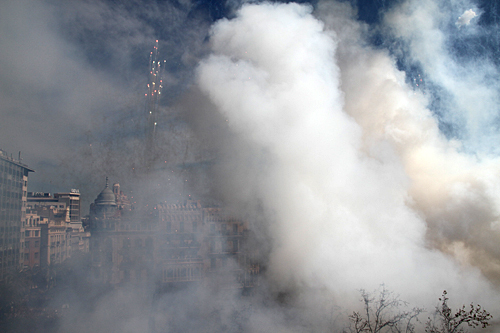 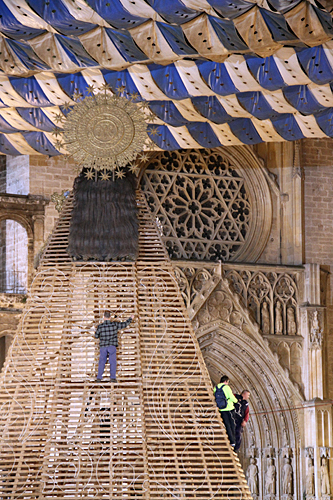 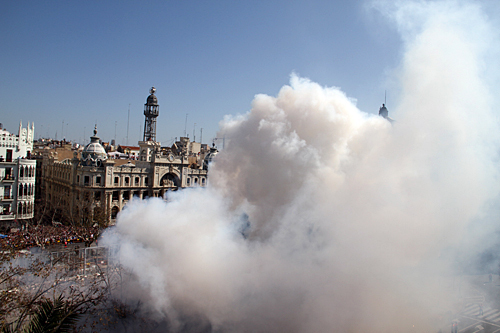 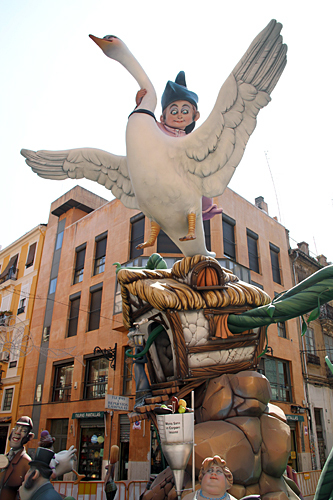 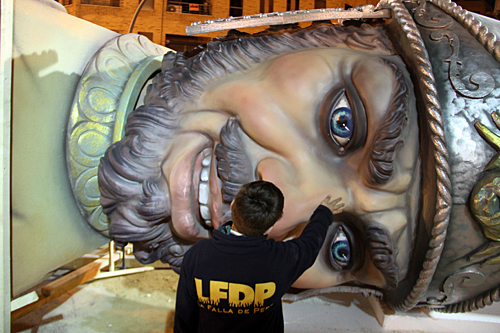 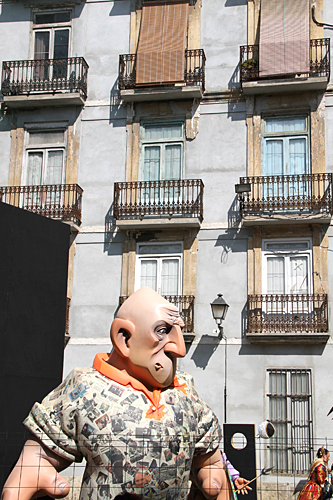 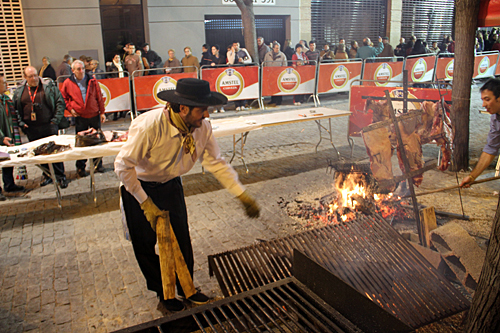 Enjoy these great pictures and videos from The Ofrenda — one of our favorite parts of Fallas. 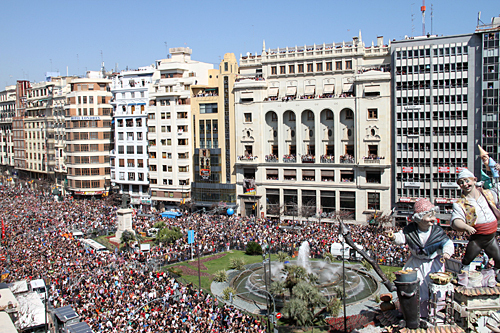 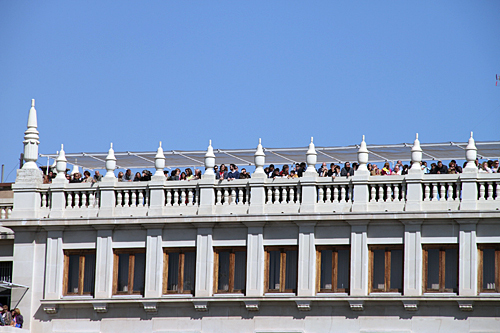 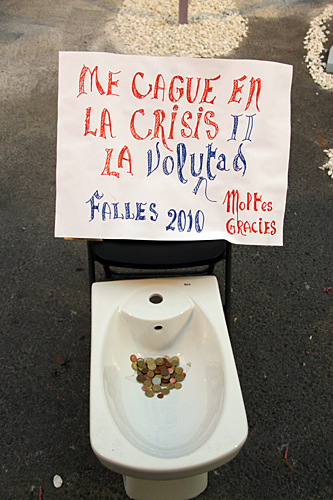 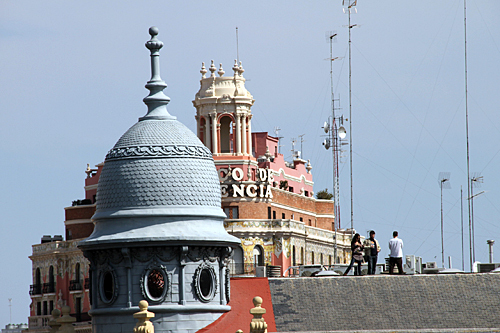 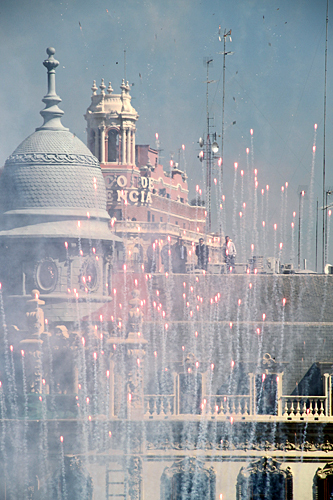 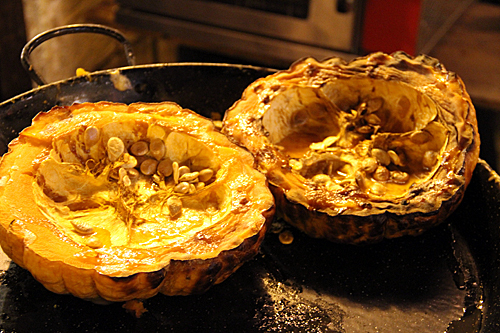 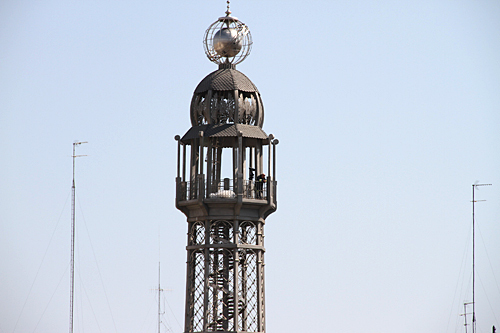 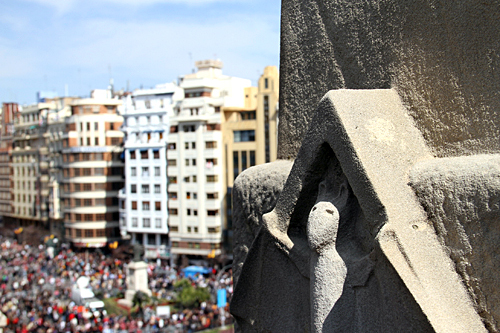 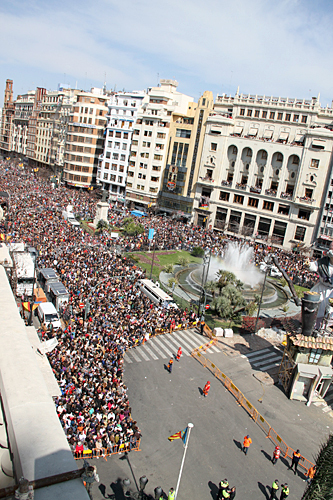 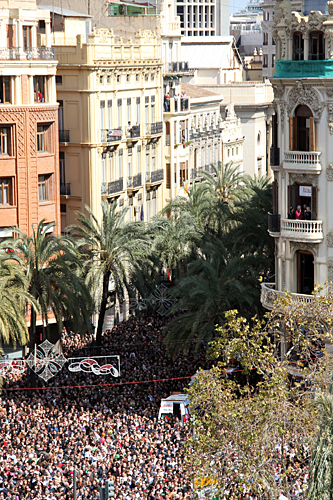 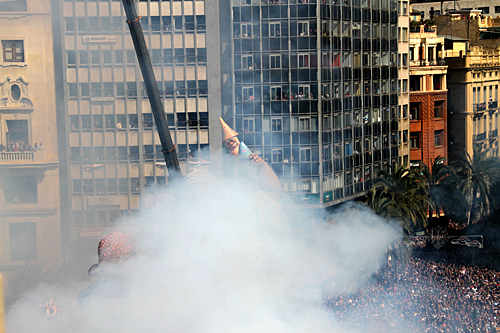 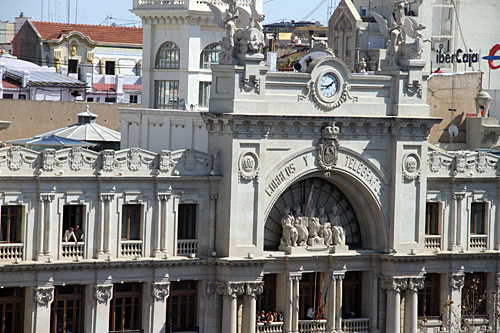 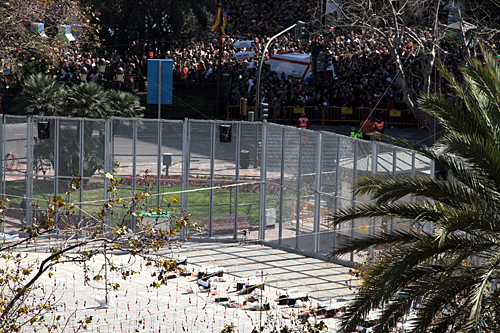 Thanks to a very fortunate circumstance, we were able to experience today’s mascletà from the top of the Ayuntamiento. 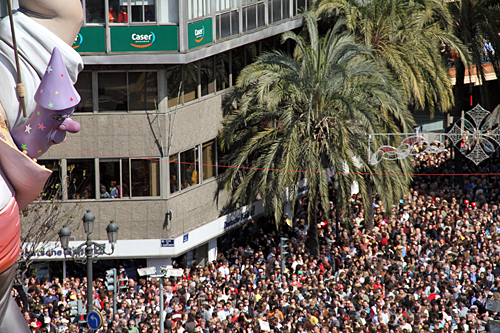 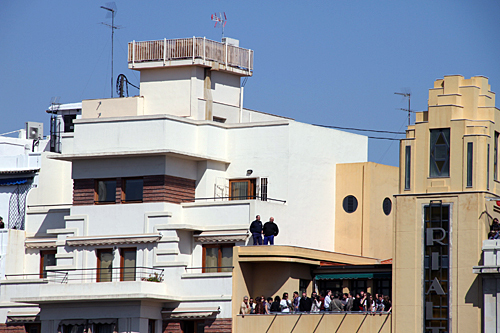 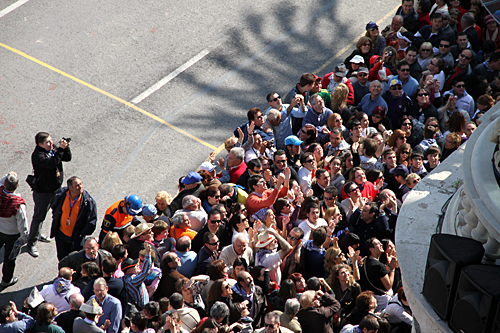 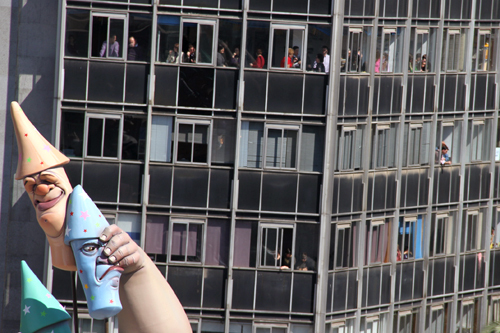 It was a good day to be on top — the streets became very packed, very early. 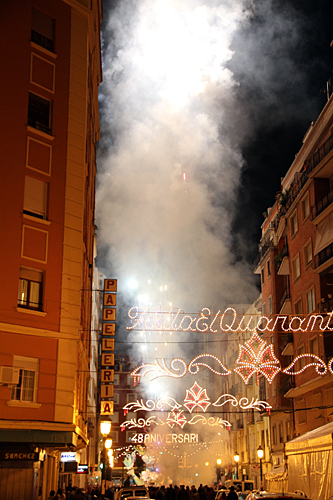 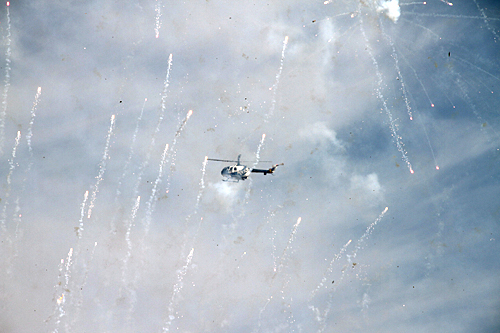 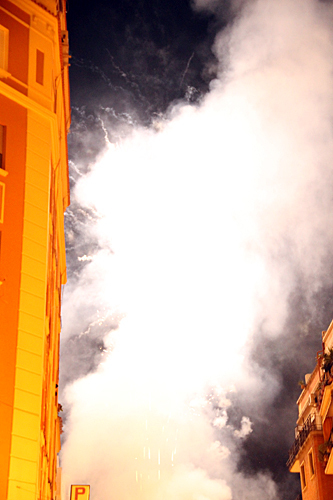 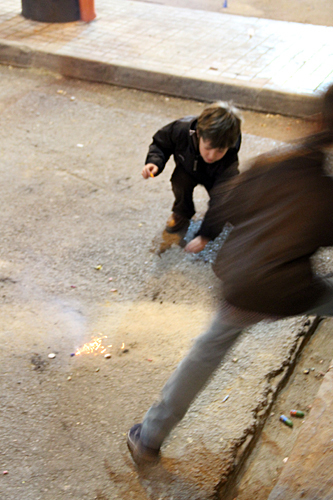 We had an incredible view of the fireworks and the plaza, and hope that you enjoy our pictures of the bird’s eye perspective on this extremely loud mascletà. 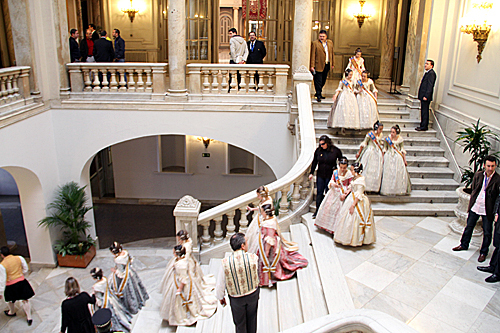 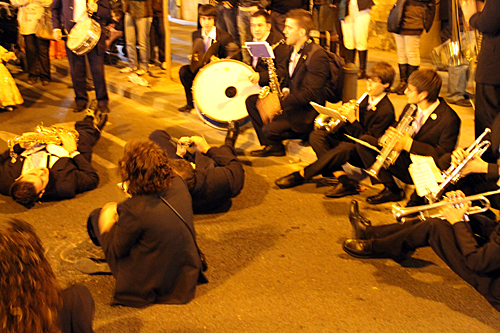 After the fireworks, we were able to go onto the balcony and meet the Fallera Mayor, Maria Pilar Giménez, and the Fallera Mayor Infantil, Ariadna Galán. 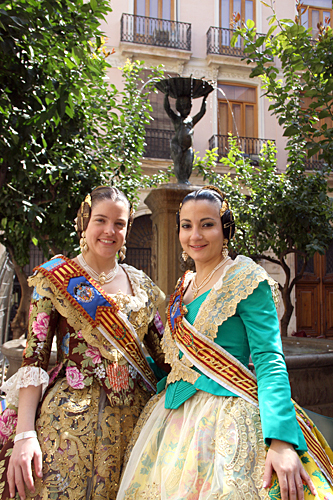 Both of them are even more stunning from up close — we were floored as much by their beauty as by their poise and warmth. 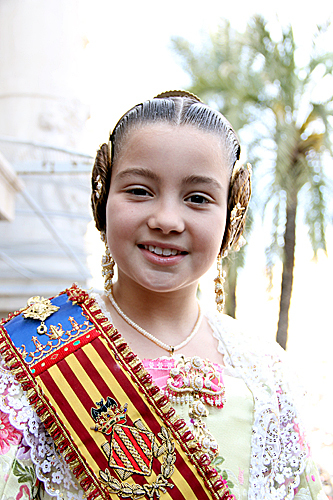 At 9 years of age, Ariadna is amazingly confident and well-spoken. 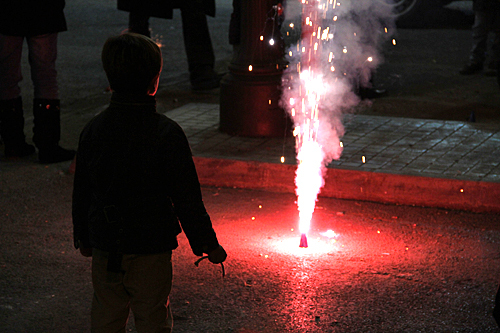 (I was still picking my nose and playing Magic at that age). 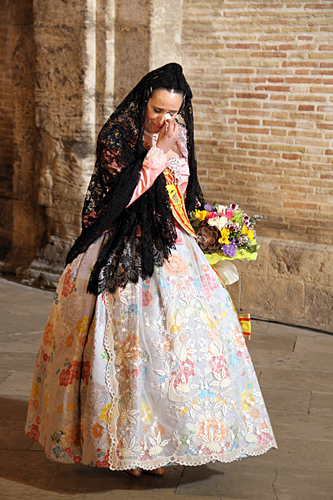 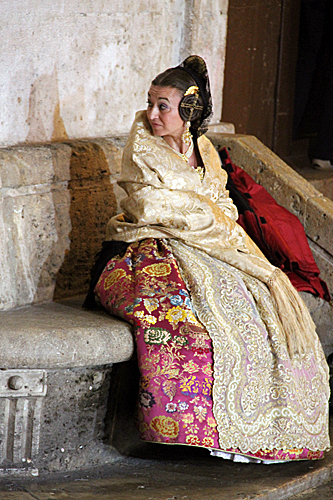 And I got a kiss from Maria Pilar — sigh, I’m still swooning. 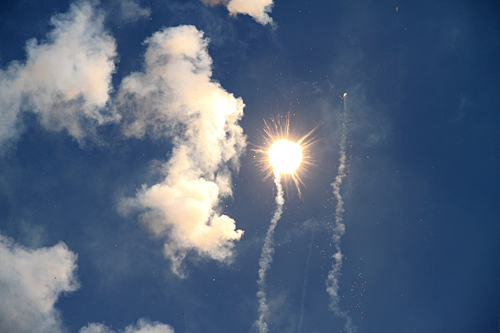 What a day!! 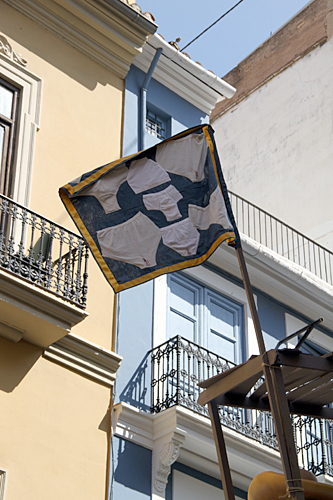 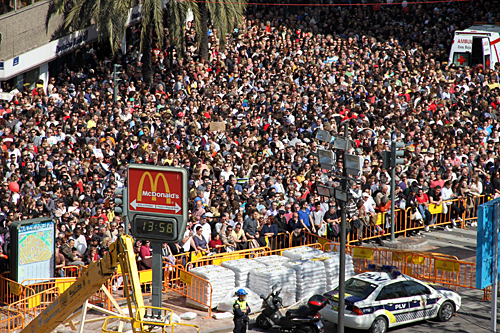 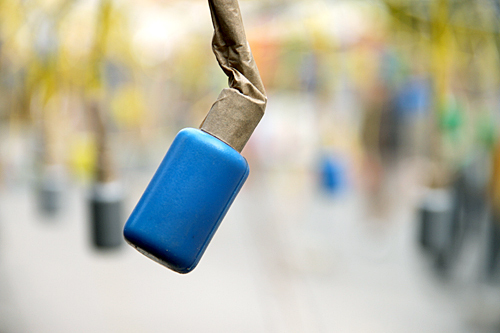 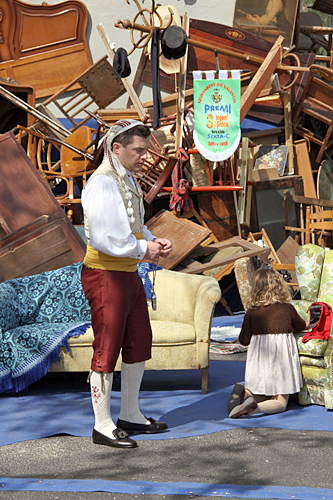 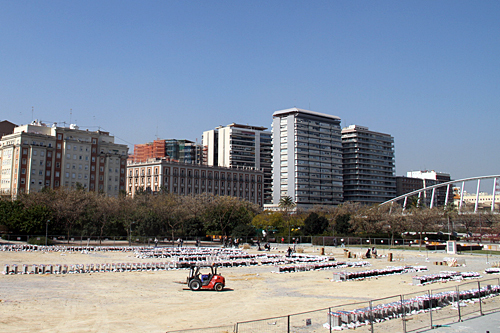 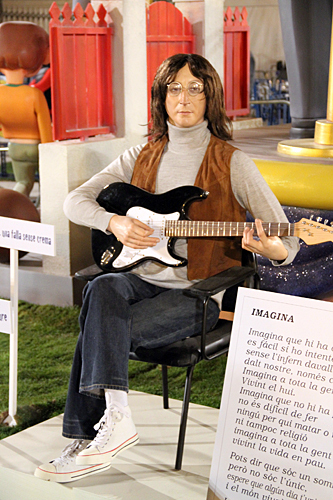 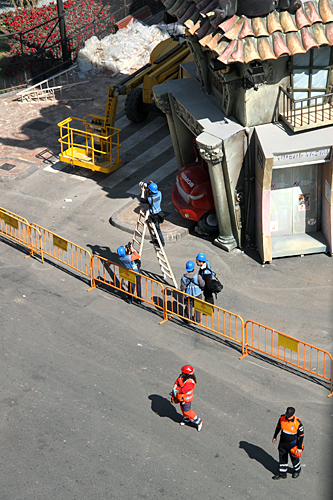 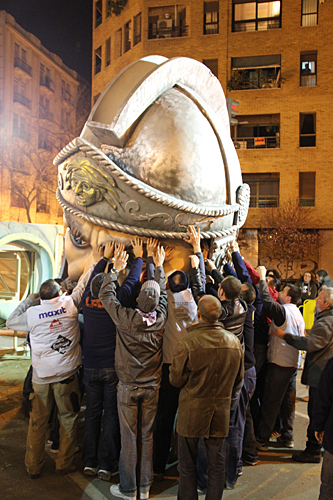 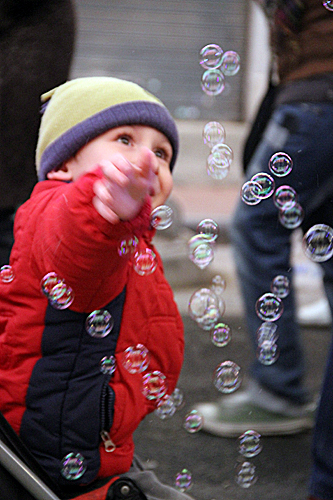 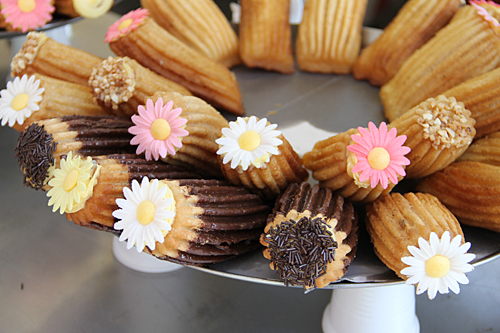 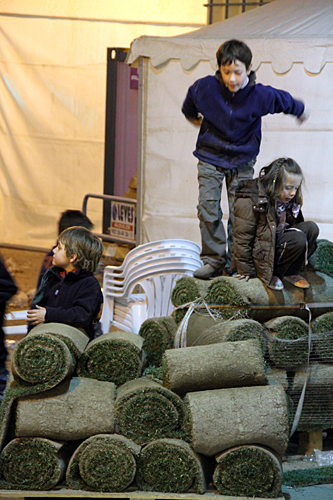 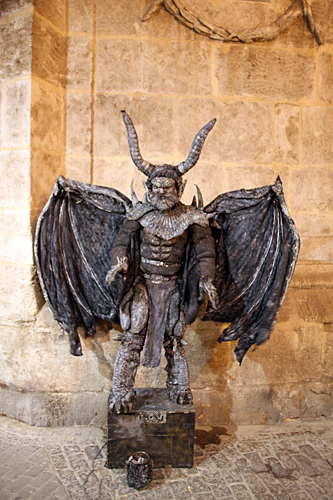 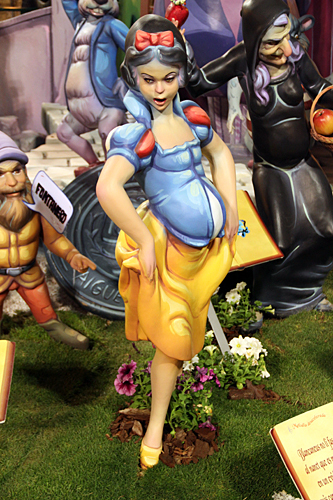 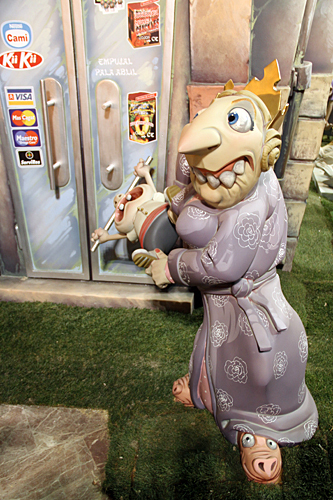 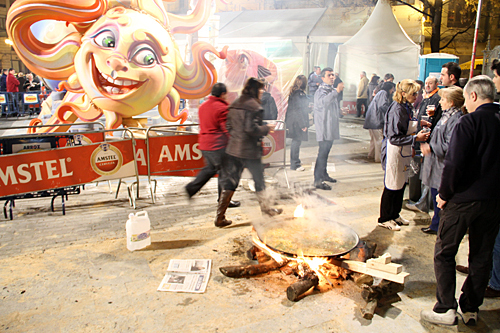 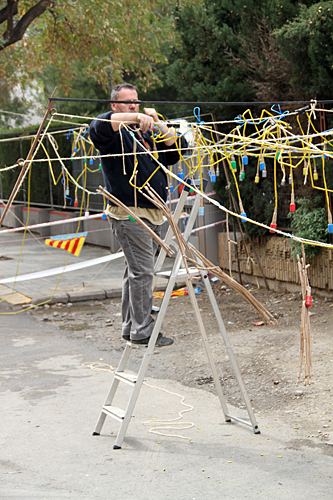 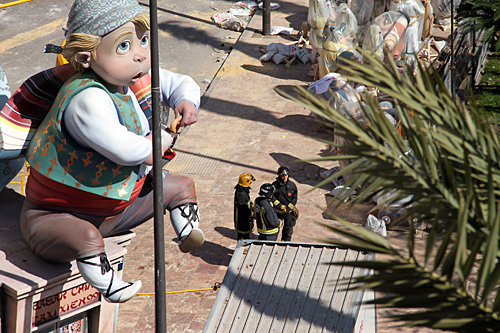 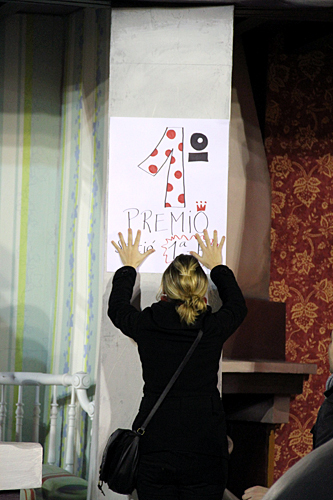 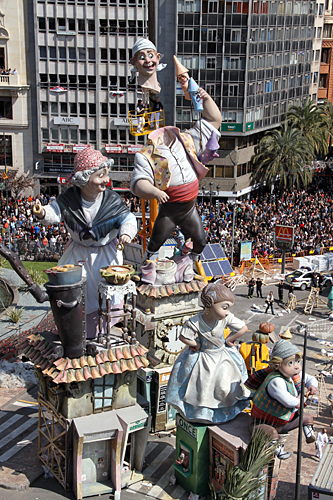 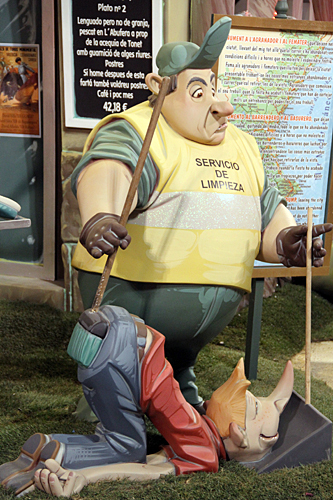 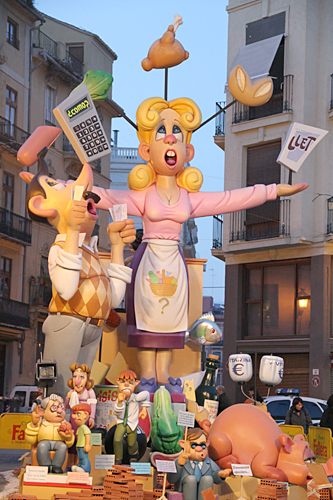 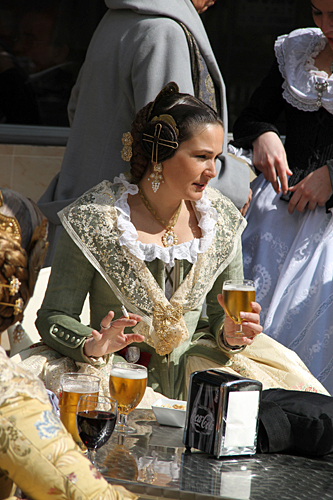 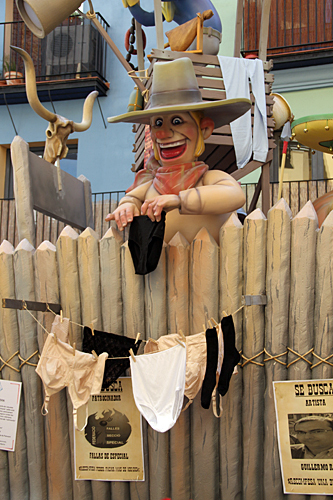 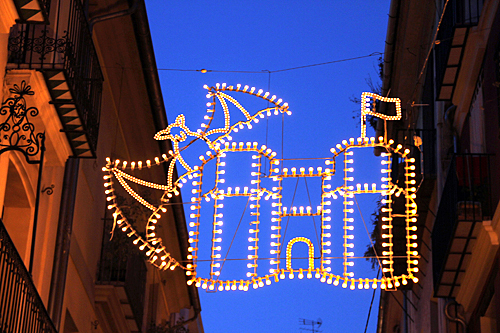 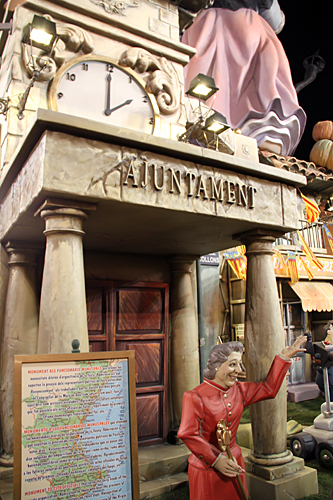 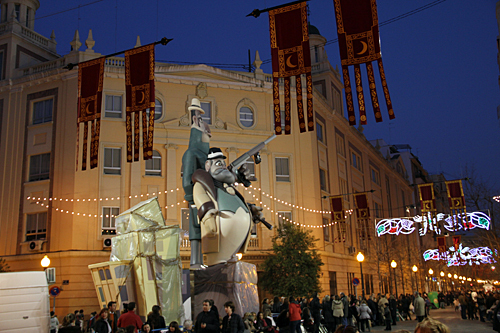 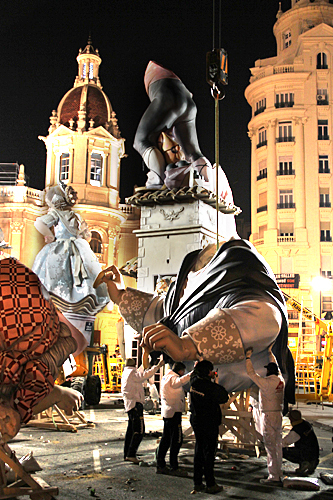 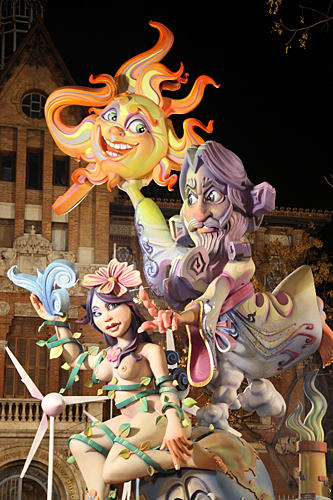 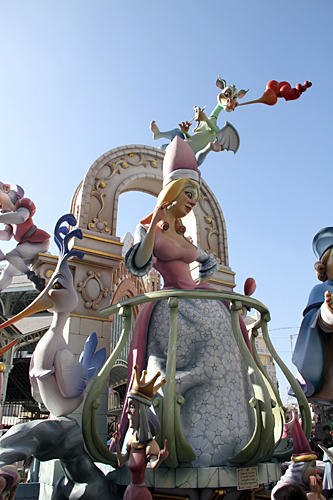 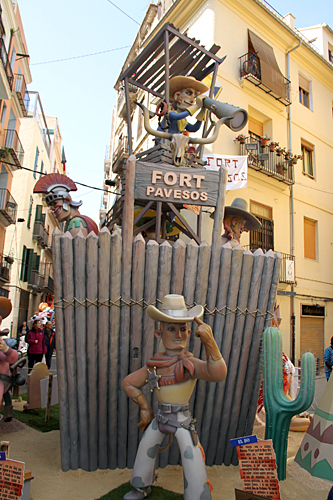 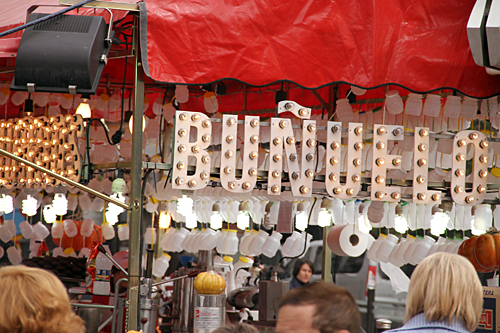 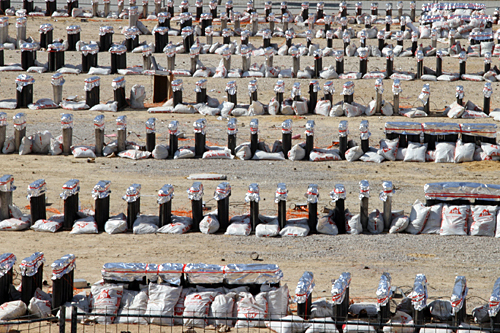 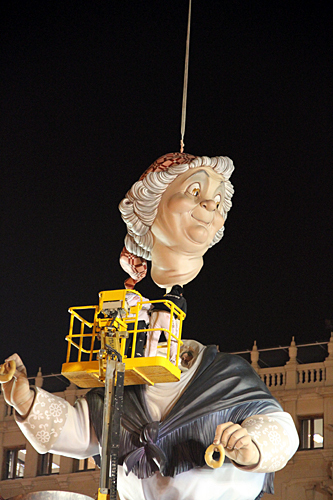 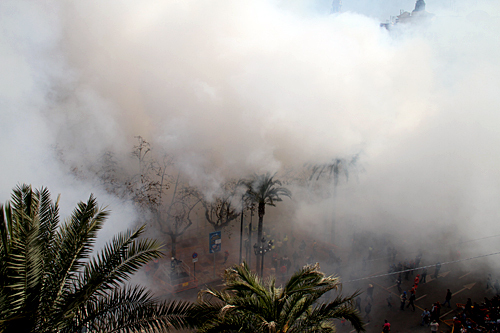 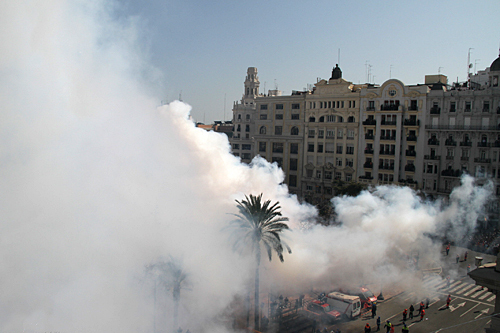 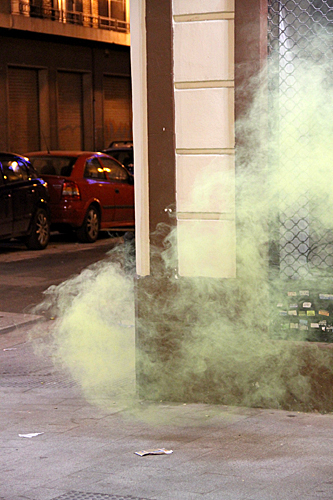 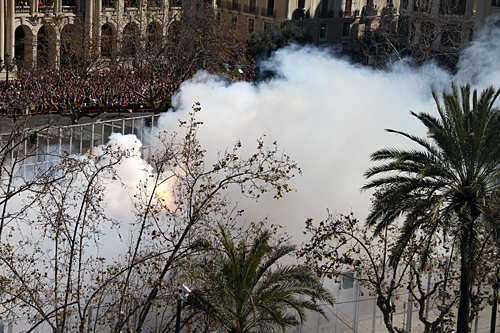 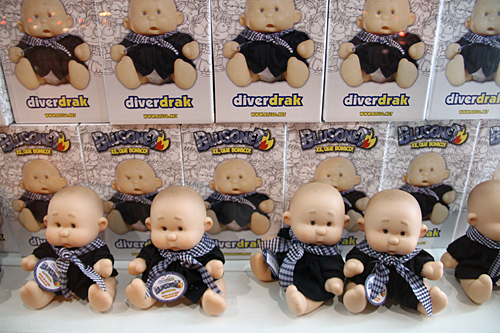 Just when we think Fallas can’t get any more exciting, something new comes along.